The influenza outbreak of 1918, nicknamed the “Spanish flu”, was as scary then as the recent Ebola outbreak was a few years ago. People died in gruesome fits of bleeding and coughing. People’s lips and ears turned blue. Some people died within 48 hours while some lingered for weeks. In certain Alaska Native villages, so many people died that there was nobody left to bury the bodies. But how did the flu originate–in chickens, pigs, or humans or a combination? Why were its effects on people so different? Did it cause other illnesses? How did it mutate? In 1918, people had no answers. In 1998, with modern technology, a team of scientists descends on an Arctic Circle island called Svalberd, halfway between Norway and the North Pole. Their aim is to see if they can extract live flu virus from bodies buried under the Permafrost since 1918. Among their questions: Was the worldwide epidemic of encephalitis lethargica that raged through the 1920s somehow related? Had the 1918 virus gotten into the brain or the central nervous system, or both, and spawned this second, chilling pandemic of unconsciousness as a lingering aftershock of its first assault? (15 million people fell ill with encephalitis–1/3 died, 1/3 recovered, and 1/3 developed Parkinson’s disease.) Could a vaccine be developed in case of the 1918 strain returning? 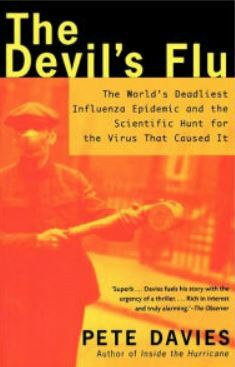 What tripped the switch for this virus, which in mild form had been assaulting humans since the 1850s, to turn lethal? 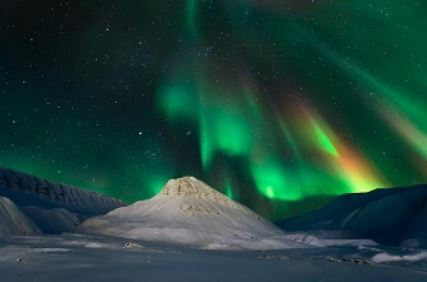 The island’s origins are debated: Russians claim that the Russian Pechora people were present on Svalbard 5,000 years ago, but no dwelling sites have been found (although 100 man-made flints were.) 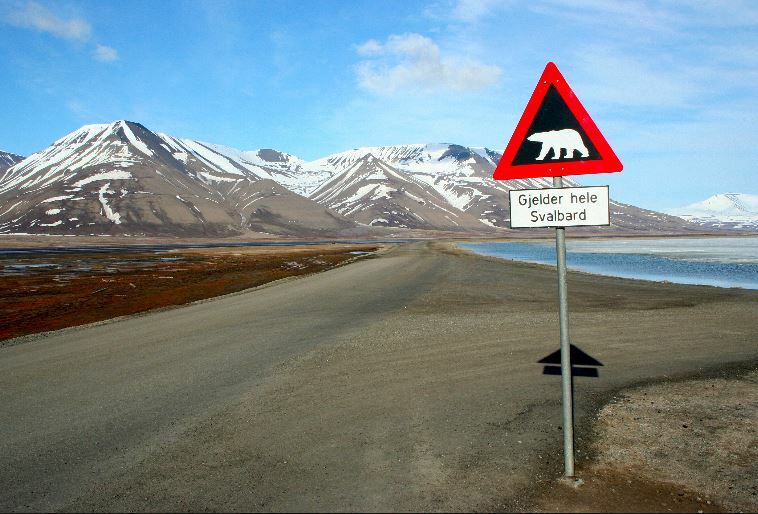 Icelandic writings state that they “found Svalbard” in 1104. (The book claims that this evidence is flimsy but doesn’t elaborate.) Around 1500s the Russian Pomor people (White Sea hunters and fur-trappers) began wintering on Svalbard because of the reindeer, seal, walrus, fox, and polar bears. In the 1600s and 1700s around 200 Dutch and German whalers were operating offshore, until they’d mostly wiped out the whales. 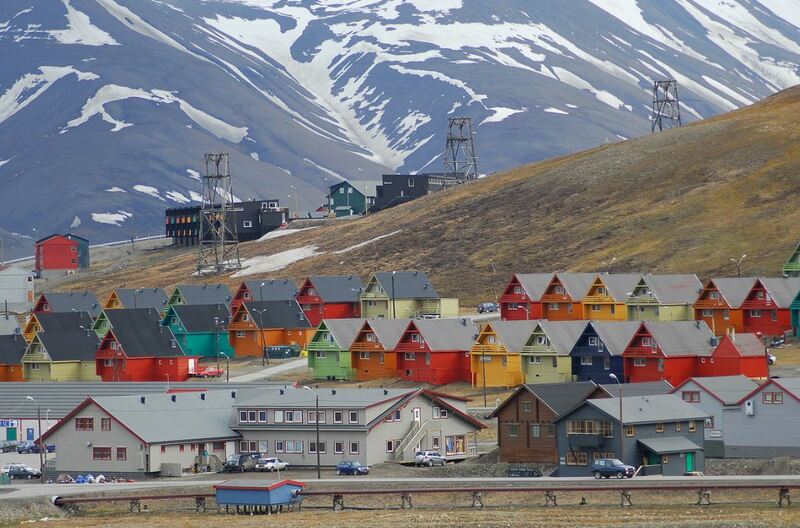 Named Spitzbergen by the Dutch, Svalbard then became a coal mining island for Norwegians and Russians. At the Treaty of Versailles, four nations granted Norway sovereignty: France, Italy, Great Britain and the U.S. as a reward for Norway’s merchant fleet helping the Allies, despite an official policy of neutrality. 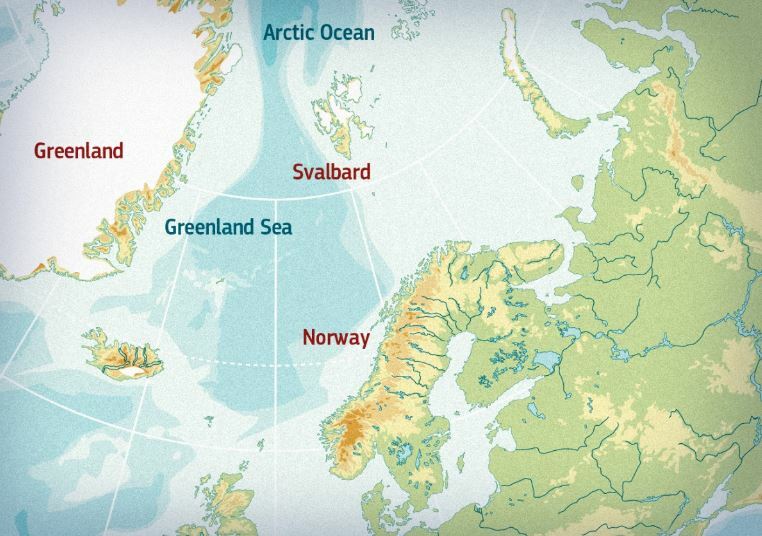 Fun fact: If your nation was a signatory to this treaty, you don’t need a passport to go to Svalbard. A Soviet mine in Svalbard, 1932. Yes, that’s ice. In August of 1918, the first and more mild wave of Spanish flu passed through Svalbard. 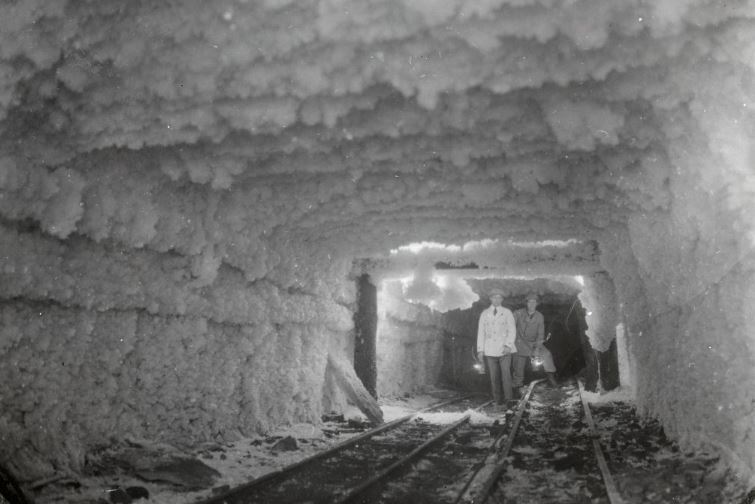 Of the 100 miners working there, more than half fell ill. One man wrote a telegram home saying “A little sick. Hoping for the best.” Two days later he was dead. Then, on the 24th of September, 69 young fishermen and farmers from Tromso in Norway arrived in Longyearbyen, the capital of Svalbard. They had come on a ship called the Forsete to work a winter season in the mines. 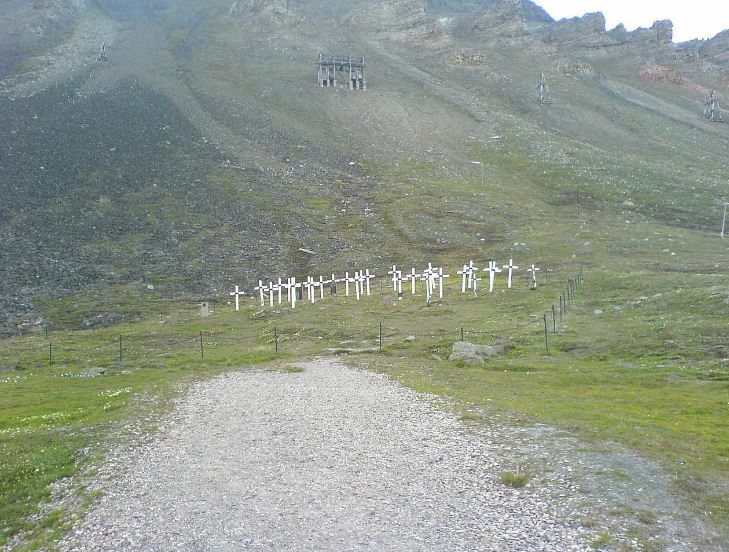 Seven of them died of Spanish flu and had to be buried in Svalbard. The youngest was 19 years old. Eighty years later, a team of scientists from Canada, Norway, Great Britain and the U.S. begins exhuming the bodies to see if they could learn what had killed them. Now: It takes 4 1/2 hours to fly from Oslo to Longyearbyen, with a 40 minute layover at Tromso en route. Then: It took the men of the Forsete three days to sail to Svalvard from Tromso. After a tiring day of reporting on the 1918 exhumations, the writer steps out to a bar called Huset (The House) which claims to have the largest wine cellar in Norway and was even voted that country’s finest eating place in 1993. (Seems a long way to go for a meal.) Svalbarders tell him that legally, you’re not allowed to step outside Longyearbyen without a gun, because of the polar bears. 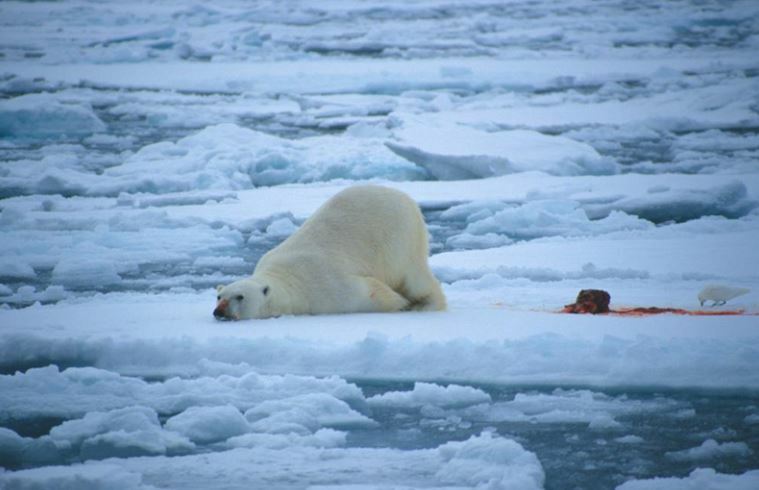 The hotel receptionist asks him “Is England in Europe?” He eats reindeer, whale, and seal meat and isn’t terribly impressed. I loved this book and found it fascinating: I didn’t think I would find any books in English written by Svalbarders or just as Svalbard travelogues, so this one is it for now! PS–Oh, and cough into your sleeve, would you please? There’s a lot of nasty germs out there. Posted on November 2, 2015 November 2, 2015 by 365bookworm	This entry was posted in Countries and tagged Arctic Circle, books about Svalbard, country of Svalbard, Norway, Spanish Flu, Svalbard. Bookmark the permalink.